Coaster Cycles and Motivate are pleased to announce the launch of a new innovative bicycle, the Mobile Mechanic Bike. The Mobile Mechanic Bike is equipped with tools to address less complex mechanical issues in the field, rather than transporting bikes back to a centralized warehouse for repairs. Eliminating the need to move bikes in vans saves time, eliminates gas emissions and gets bikes back in the hands of riders faster. Coaster Cycles’ new Mobile Mechanic Bike is custom made with toolboxes, large transport area for materials, a bike stand, a magnetic tool holder to aid the mechanic, and an electric assist motor that enables mechanics to quickly move through the city to make repairs. With the launch of the new Mobile Mechanic Bike, the teams at Coaster Cycles and Motivate aim to make bike repairs more efficient and greener. "Coaster Cycles’ partnership with Motivate showcases our mutual dedication to innovation, sustainable transportation, and increasing access to micro-transit. Our mission is to move markets, products, and people on three wheels, going where other vehicles cannot. The Mobile Mechanic Bike helps remove gas powered vehicles, reduce congestion in cities, and increase Motivates ability to service bikes. Coaster’s trikes will make an eco-friendly company even greener.” – Ben Morris, Coaster Cycles CEO. 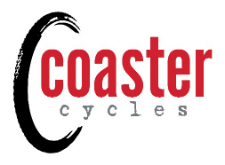 About Coaster Cycles: Coaster Cycles is a manufacturer of Pedicabs and custom bike solutions located in Bonner, Montana. With their 15,000 sq. ft facility, they can offer customers the best quality trikes ever made for any project need. Coaster specializes in Pedicabs, Vendor and Cargo Trikes, Promotional Marketing Bikes, Pedicab Operations and Media Management, Manufacturing and Custom Fabrication, General Branding/Sponsorship Activation, and Free Ride Programs nationwide. Coaster Cycles is happy to offer worldwide shipping to customers. For more information on Coaster Cycles, visit www.coastercycles.com. Motivate is the largest bike share operator in North America, with systems in the densest urban centers including New York (Citi Bike), Chicago (Divvy), Boston (Hubway), Washington D.C (Capital Bikeshare), Minneapolis (Nice Ride Minnesota), and the Bay Area (Ford GoBike). Motivate works alongside cities to provide efficient, equitable and safe systems using a full range of bike share solutions and best-in-class operations. As a vertically integrated company, Motivate is leading the design and deployment of the next generation of bike share technology. The company is led by a group of urban visionaries, creative leaders and technology innovators, revolutionizing the landscape and sustainability of cities and urban transit. Learn more at www.motivateco.com.